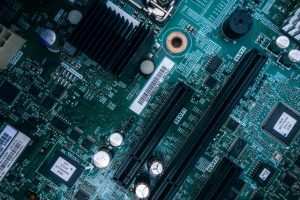 If you are a Utah company that has sold an old mainframe or other electronics and need them shipped to new buyers, make sure you choose a company who knows how to find a packaging solution for your electronic devices. Our electronics palletizing service is specifically designed for safely packing electronics for shipping of any distance. Two Man Movers is the trusted full-service mover in Salt Lake City and the surrounding area. Our professional movers are trained to perform a variety of moving services so your items get delivered safely and securely. Whether you need to ship medical equipment, school supplies or large mainframes, Two Man Movers will provide you the special care that is necessary for packaging electronics for shipping. Our electronics packaging methods ensure that your fragile electronics stay in good condition. We take the time to make sure they are as secure as it was in its original box. We provide all the necessary packing materials including pallets, pallet jacks, shrink and bubble wrap, packing peanuts, packing tape and moving boxes. Inventory and procedures are established before anything is touched. Our movers pack your electronics with the safest and most efficient supplies. We load the electronics onto our pallets. We shrink wrap the pallet so that your items are secured for a local or long-distance shipment. We carefully load the equipment on our trucks. Your items are stored safely in our climate-controlled storage warehouse facility until either we or your national long-haul carrier takes it for shipment. With items as valuable and vulnerable as electronics, we make sure to prepare for any scenario. We use anti-static agents to remove any static electricity from your devices before the move. We also have the resources necessary for shipping electronics in cold weather. Fast shipping electronics in extreme cold temperatures requires even more precautionary steps. Our packing supplies will keep your electronics at room temperature during the move so no internal damage occurs. Our professional Salt Lake City movers have years of experience moving large, fragile and valuable items. When searching for a Salt Lake City moving company that can pack and deliver your electronics, go with Two Man Movers and Storage. Our electronics palletizing service is fast, cost-efficient and proven over time. You want to choose the movers who have experience handling, packaging, shipping and storing electronics of all shapes and sizes. That’s exactly what you’ll get with Two Man Movers and Storage. Don’t choose a Salt Lake City moving company that is going to have to call a third-party service. There is no outsourcing involved when you choose Two Man Movers. As a full-service moving company, we have all the resources necessary to guarantee a stress-free transportation of your electronics by our trained team. That means the same movers will be packing, delivering and unpacking your devices. Our goal is to take all the stress and responsibility off your shoulders so you can relax and be rest-assured your items are in the best hands. Our movers have the proper training and equipment to handle every aspect of your move. So don’t settle for anything less than Two Man Mover’s premier electronics packing service. We have researched and developed a proven and tested method for packing and palletizing fragile electronic equipment. Whether you need something moved to Park City, Sandy, across the country or across the world, Two Man Movers will get the job done. We pride ourselves on exceeding customer’s expectations and delivering your equipment on-time and on-budget. Contact us at (801) 924-1564 to speak with one of our moving specialists and learn more about our specialty moving services. You can also fill out our free online quote form.